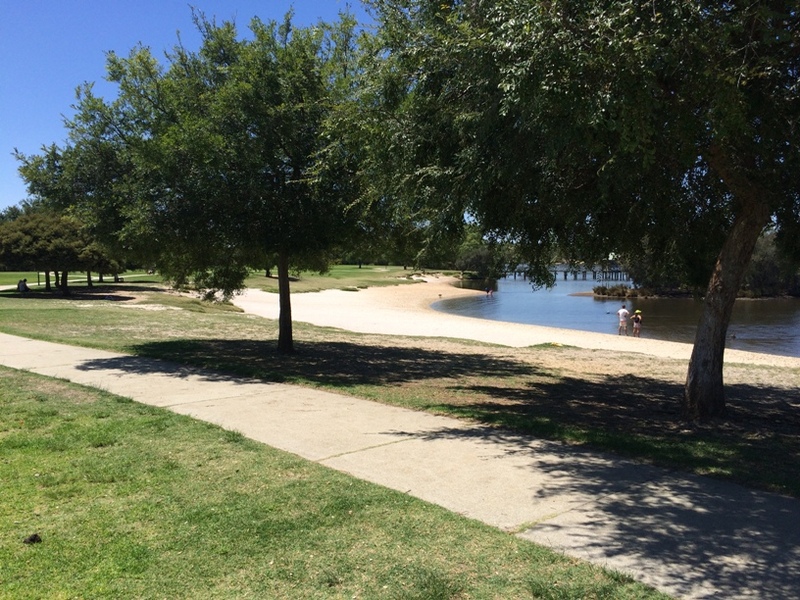 Bayswater Riverside Gardens features a large fully fenced playground alongside the Swan River, with a mobile cafe located here also during the warmer months. 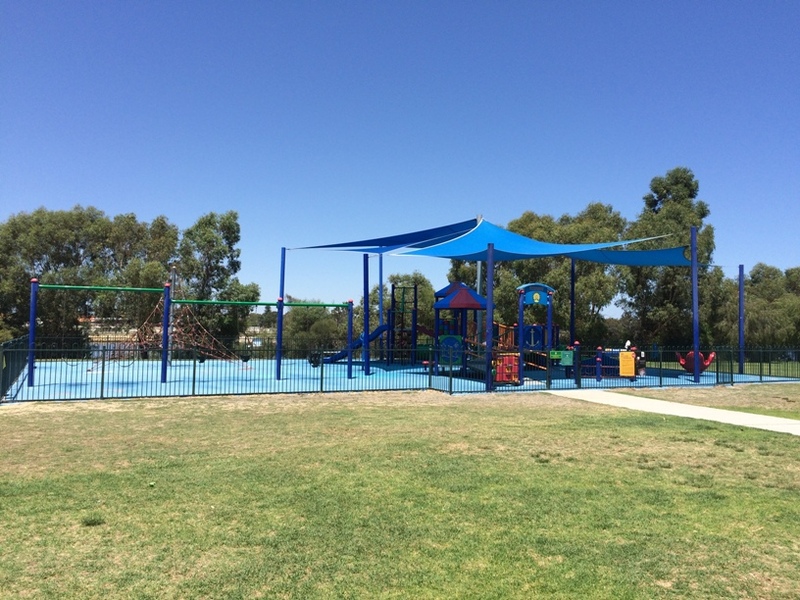 The playground at Bayswater Riverside Gardens is fully fenced and is located right alongside the Swan River. There is a lovely sandy beach not far from the playground, so makes a nice spot for a splash on a warm day. This is an off the lead dog exercise area so this is a popular spot for fur families. 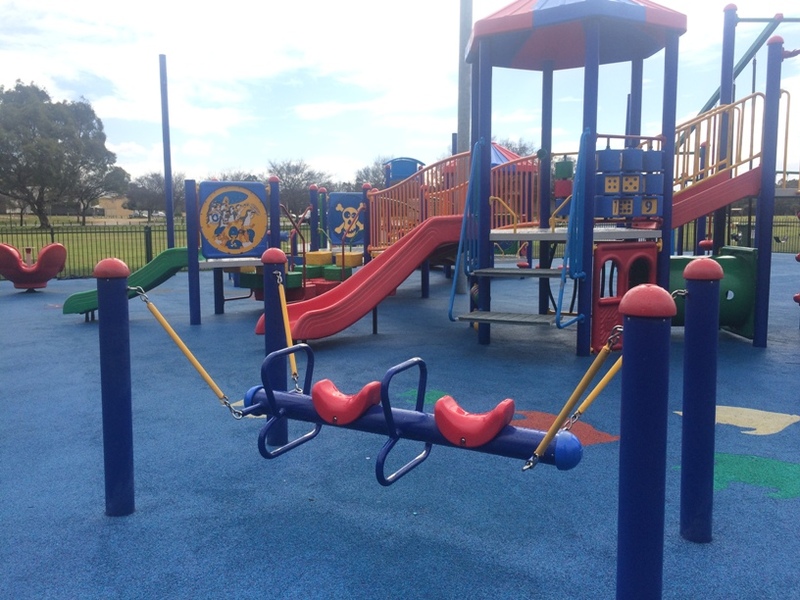 The playground has shade over it in summer and features everything you would expect from a traditional playground. With double toddler swings, slides, ramps, fireman's poles and more. There is plenty of low level play for toddlers and preschoolers. For the bigger kids there is a climbing frame within the fenced area. 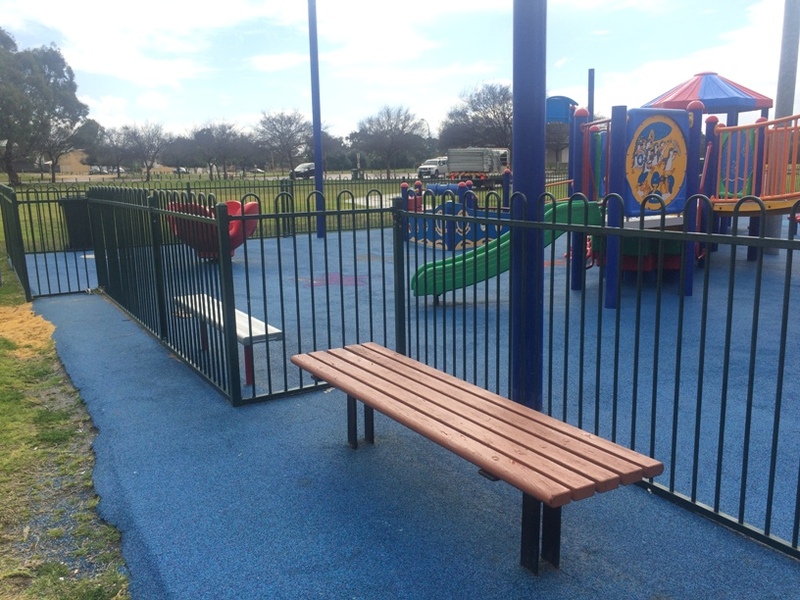 Seating is located within the playground and just outside the playground so if you are watching kids on the inside and a dog on the outside of the fencing this is handy. During the warmer months you can find the Cool Breeze Cafe here. 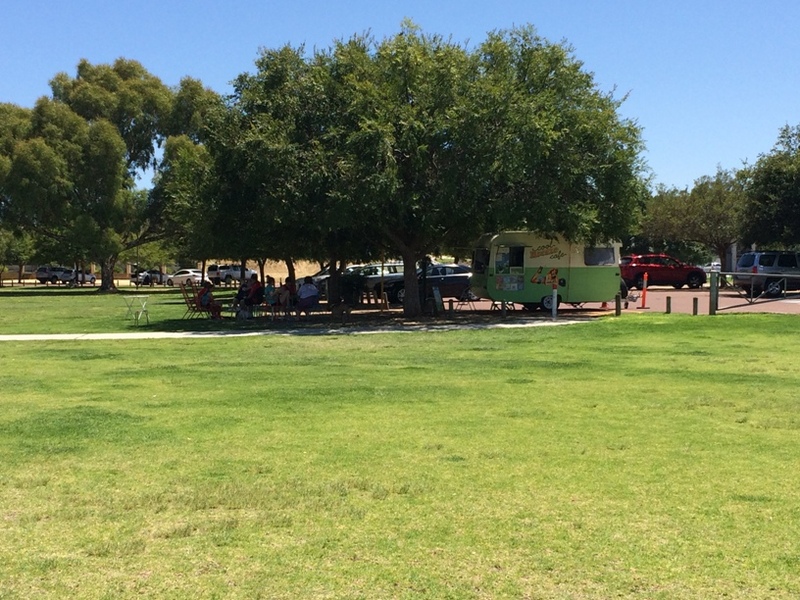 This is a retro caravan where you can purchase a range of hot and cold drinks and light snacks (including Ben & Jerrys Ice cream) to enjoy at the playground or under the trees at the tables and chairs set up near the van. 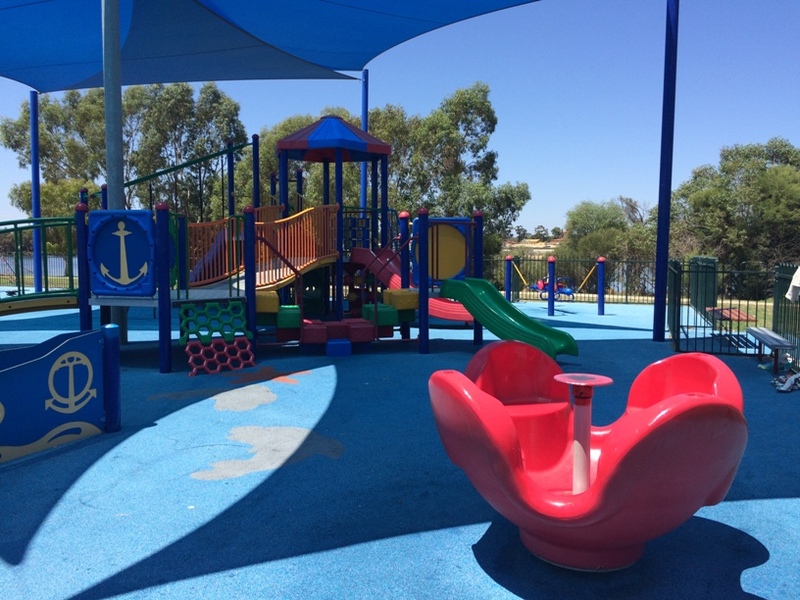 Toilets are located near the carpark and playground, bbq's are also available near the playground and you can find a few water fountains throughout the park. There are many winding paths that take you through this large park so it's a good one for bringing scooters and small bikes along to explore the park from end to end. 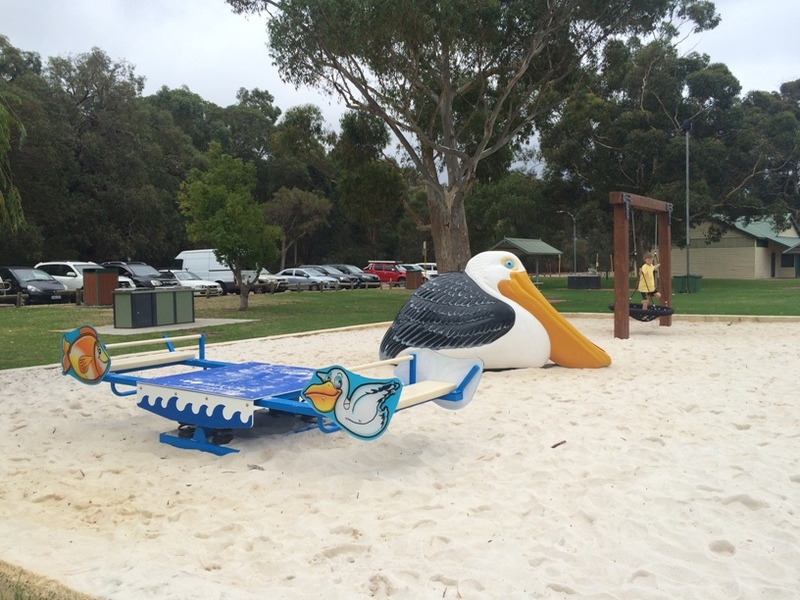 You could even wander down to the Garrett Road Bridge Park (AKA AP Hines Reserve) where you will find a swing and pelican slide and see-saw. It's also a great little spot for fishing (just note: dogs must be on a lead in this area).